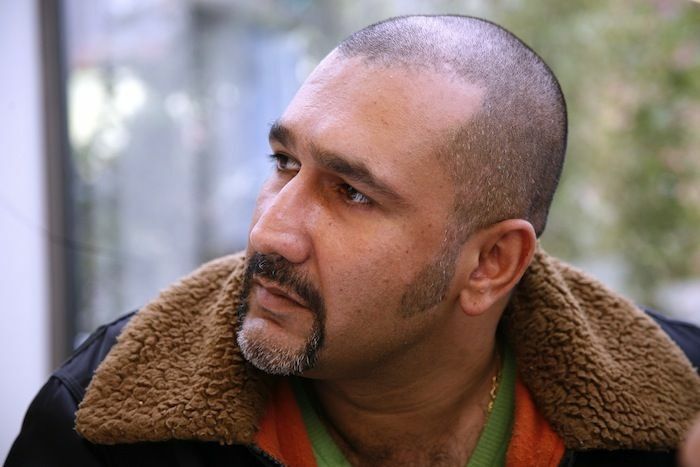 Parvez Sharma is a gay, Indian Muslim filmmaker based in New York and known for his controversial subject matter. His first film, A Jihad for Love, was a documentary about gay, lesbian and transgender individuals in the Muslim world. His second and latest movie, A Sinner in Mecca, is about his pilgrimage, or hajj, to Saudi Arabia's holy city of Mecca in 2011, shortly after Osama bin Laden's assassination. Both filming and homosexuality are forbidden there, which made documenting his journey highly risky -- most of it was surreptitiously recorded on his iPhone. Sharma and his husband were uncertain he would even return. The movie offers an incredibly rare insight into hajj for non-Muslims and delves into Mecca's surreal and contradictory world: Sharma goes from fighting his way through swirling masses of fellow pilgrims, to finding respite in an air-conditioned, luxury mall, right next to the Kaaba (the most holy site for Muslims, which they must face during prayers, no matter where they are in the world). Surviving the journey did not completely allay their fears as Sharma now faces a considerable amount of hate mail and threats on a daily basis. The bold filmmaker talked with Paper Magazine about the undertaking, Saudi Arabia's secret influence on ISIS and what it means to have a Starbucks in the middle of Mecca. Why now? 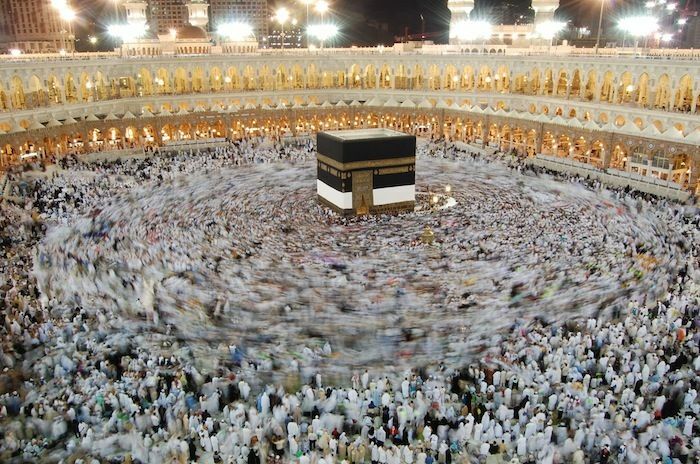 What prompted you to do your hajj and make this film at this point in your life? Well, number one, the hajj is my highest calling as a Muslim and I was fulfilling that and I was ready -- this was the right time. The other reason is that I'm a troublemaker and being the troublemaker I am, I thought being there a few months after Osama bin Laden's death and in the year of the Arab Spring would be an appropriate time to be in Saudi Arabia. It was a time of turmoil and change in the region and I wanted to be in the region at that time. As you know, bin Laden's Saudi Arabia's most infamous son. So, yeah, there are all these connections. Did this pilgrimage and the making of this film help you reconcile your religion with your sexuality? Yeah, I mean, I was okay with my sexuality already. I was done with that in my previous film [A Jihad for Love] when I came out as a gay man. This film is about me coming out as a Muslim and about claiming Islam, but this time on my own terms, and that's exactly what I'm doing. I even say it in the film. You say in the film, "I've emerged from my hajj a better Muslim." Aside from fulfilling the ritual, in what ways did you personally feel like a better Muslim? Do you feel closer to Allah? I definitely felt closer to God. There's a huge sense of accomplishment that happens to every pilgrim when they finish their Hajj, if they've done it properly, and I certainly felt that. Most importantly, I feel that I can now, having earned the highest title in the religion, I can make my voice heard legitimately this time, calling out for change. And this change is urgent and it's important and it's not happening. And the change within Islam starts from Saudi Arabia because that is where the problem is. There was this moment -- probably my favorite moment in the film -- where you're discussing the absurdity of a thriving Starbucks next to the Kaaba. I want to know in what ways you found the presence of this Starbucks symbolic. Well, the Saudis and their Wahhabi ideology, which I'm extremely critical of, have carried out a deliberate destruction of Islamic history. And this has been going on for decades -- it's not new. What they're doing is that they're removing all of the history of Islam because they think remembering any of that amounts to idol worship [which is forbidden]. And they're building these garish shopping malls and seven star hotels in its place. So, for me, it's Mecca-Vegas. It's unrecognizable and it's very unfortunate that they're doing this and Muslims around the world are not saying anything about this because very soon, if the Saudis are allowed to continue, none of the history of this religion will be visible anymore. It's a landscape of destruction. Where you see the construction, I just see destruction. When you talk about change and giving a voice to your religion, do you think this is what people need to be aware of -- this obliteration of Islamic history in Saudi Arabia? Well, more importantly, I think the thrust is that Wahhabi Islam in Saudi Arabia is at the roots of the ideology for ISIS and, before that, for Al-Qaeda. And not many people know this and this is really important to point out, that this Islam is what the Saudis are teaching to their children in schools. That this Islam, of course, as I said, influences how ISIS thinks about the world. And, unfortunately, what the Saudis have done is that they have exported this version of Islam all around the Muslim world. And they have made Muslim societies, wherever they've exported this, increasingly conservative. So, the face of Islam has changed because of this Saudi project of Wahhabi Islam and that is what really needs to be confronted. That's my message in the film, at least. And how have they been so successful at exporting it? Because of the oil wealth of the country, which is enormous, and also because Mecca and Medina are located in Saudi Arabia. The king of Saudi Arabia appended the title "Custodian of the Two Holy Mosques" to his name. And that, for the Saudis, is the biggest thing: that Mecca is contained in their hypocritical and problematic kingdom. Do you feel the film achieved what you wanted it to? It's a newborn, it is achieving a lot. It's getting tremendous reviews. But, unfortunately, there's also a huge amount of hate mail. I wake up to it everyday. And that is troublesome to me because it's happening so early in the life of the film and I'm still learning to deal with it. I expected that to happen maybe at a later stage in the film['s life], but this is all new and it's just launching into the world. And this kind of negative reaction and backlash I'm having from the Muslim world is making me extremely uncomfortable. Is there anything that you would like the reader of this interview to know that isn't necessarily touched upon in the film? That's interesting. [Pause] Well, Mecca in Saudi Arabia is the Ground Zero of Islam. And I say that in the film and it's the beating heart of the religion. Millions of Muslims make this pilgrimage every year and it is important for audiences or readers of your piece to know that this film is a call to action. And the action is that more Muslims around the world need to speak up against Saudi Arabia. There needs to be immense debate about how Saudi Wahhabi ideology is the roots of the ideology of ISIS and these are discussions that are urgent. These are discussions that Muslims need to have amongst themselves. And I feel that time is not on our side. I feel time is running out. Does that mean that you are not optimistic about the future of Islam? Well, I'm just one person. I cannot make a huge statement about the future of Islam and there are many kinds of Islam as well. But I think I'm not optimistic about things changing anytime soon because the Saudi project to export their Wahhabi ideology is even more successful than their project to export their oil -- and that is where the danger lies.